In this paper we face the problem of accurate location of a laser spot that is used as interaction system in real environments. 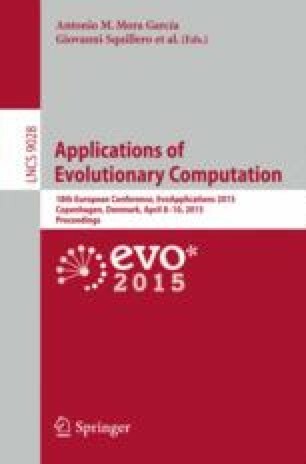 The work presented is compared with previous approaches where different algorithms work with a single objective, using images that has been previously simplified to reduce computing time. Instead, the new approach presented in this paper is capable of processing whole images. The results show that the inclusion of multi-objective methods allows us not only to detect the presence of the laser spot, the single objective in previous works, but also to obtain accurate information of the laser spot in the image, and thus provide the location of the device on which the user wants to act. This work was supported by the Seventh Framework Programme of the European Union through the International Research Staff Plan Marie Curie, FP7-PEOPLE-2013-IRSES, ACoBSEC 612,689 Grant, Ministerio de Educación, Cultura y Deporte of Spain under the project TIN2011-28627-C04-03, Gobierno de Extremadura, Consejería de Economía Comercio e Innovación and FEDER, GRU10029 project. This work has also been supported by CONACyT México through the project 155045–“Evolución de Cerebros Artificiales en Visión por Computador”.